As Royal Mums of Kensington and Chelsea we are always searching for the best things to do with our little prince and princesses. It’s not always easy taking very small children far away, so finding amazing activities and restaurants is an absolute must! Here are a list of 10 places we think you’ll love to visit. With half term just around the corner we have compiled a list of places to visit to keep your little ones entertained. 1. Chelsea Physic Garden Located just behind the river Themes, Chelsea Physic Garden is a celebration of beauty and the importance of plants. It’s a perfect place to educate your children and let them see the true nature of the natural world they live in. The Garden, Cafe and Gift Shop are all open Monday – Friday, 10am – 4pm. 2. 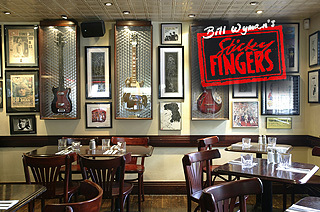 Sticky Fingers Owned by the amazing rockstar Bill Wyman, Sticky Fingers has a lot to offer in terms of good food, good people, good music and good times. The reason it has made our top 5 is because of it’s extensive children’s menu. A lot of places don’t offer kids the chance to dine with the adults, sharing the same quality of food yet just a smaller portion – But at Sticky Fingers they certainly can. From MaryLand Roasted Chicken Legs to Macaroni with Cheese Sauce, they have it all. And not to mention that every child gets a drink and ice-cream with their meal. Although it’s not super healthy, it is a nice place to take them for a little treat and something hearty to warm their tummies. 3. 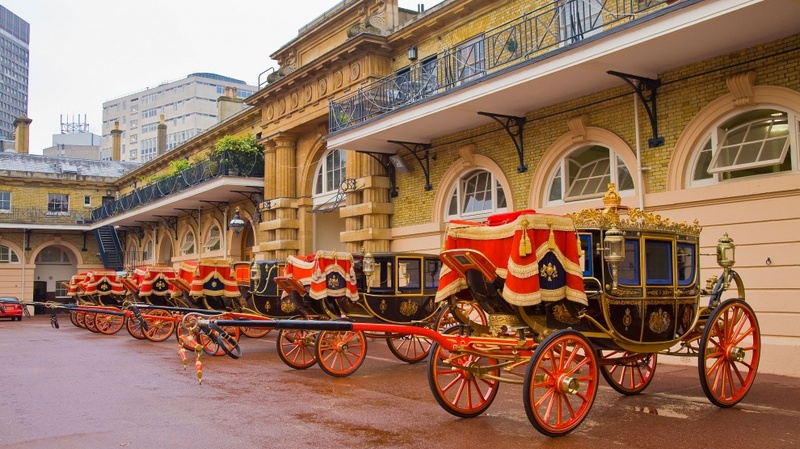 The Royal Mews, Buckingham Palace This is ideal to teach your little ones about the British Royal heritage. It is packed full of educating yet fun experiences including a guided tour and miniature horse and carriages. Adult admission is £9 and children under 5 go free!! It really will be a Royal day out! 4. 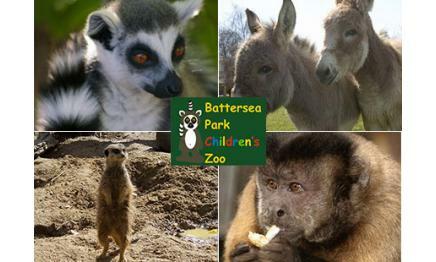 Battersea Park Children’s Zoo (just s step over the bridge) Battersea Zoo is a place to learn, pet and play and for the adults to make and capture adorable memories of their babies. The Zoo inhabits an array of animals from large, fluffy mammals to tiny, slithering reptiles. It has facilities to suit everyones needs including a beautiful cafe that serves super yummy food! In the winter season the Zoo is open from 10am – 4.30pm and children under 2 years go free. For adults it is £8.75 and children over 2.it is £6.50. A little cost to have bucket loads of fun! 5. 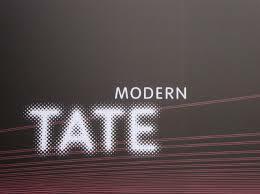 And last but not least why not let your children explore their creative side and join in with an art activity at the art base in the Tate Modern. Kids under 18 enter for free. Drop in’s run from the 14th-21st February. 7. Visit the science museum and watch Fly Me to the Moon 3D. Transporting you back in time, 3 cute and sweet tween aged flies sneak on to apollo 11 for an incredible space adventure. This movie isn’t just fun and visually stimulating for your little ones it transports you back into time of man’s first steps on the moon. Now showing at the science museum. 8. Have a roaring night at the Natural History Museum. 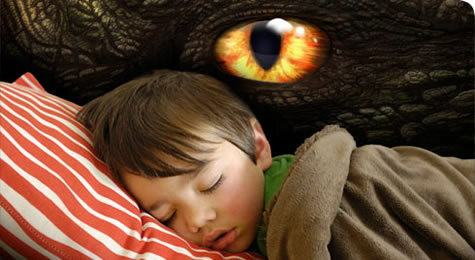 The ultimate sleep over for kids, Natural History Museum once a month offers children aged between 7-11 years old to spend a night at the Natural History Museum. Dino snore tickets cost £60 per person or £54 for members. Time 6.45pm- 9.30am the next day. The evening is full of activities with a torch lit trail in the dinosaur galleries, followed by a science experiment show. This would be truly unforgettable experience for your little ones. For more information please click here. Pre Book now! 9. An art workshop at the Royal Albert Hall. 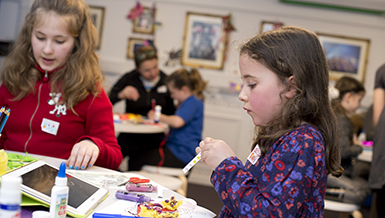 Let your little ones experience what it is like to own your very own Grand tier box at the Royal Albert Hall by creating their own miniature version. Each workshop lasts 2 hours. This activity is suitable between 5-11 years old. All children will need to be accompanied by an adult. Tickets cost only £3.50. Make sure to book in advance. Please click here for more information. 10. 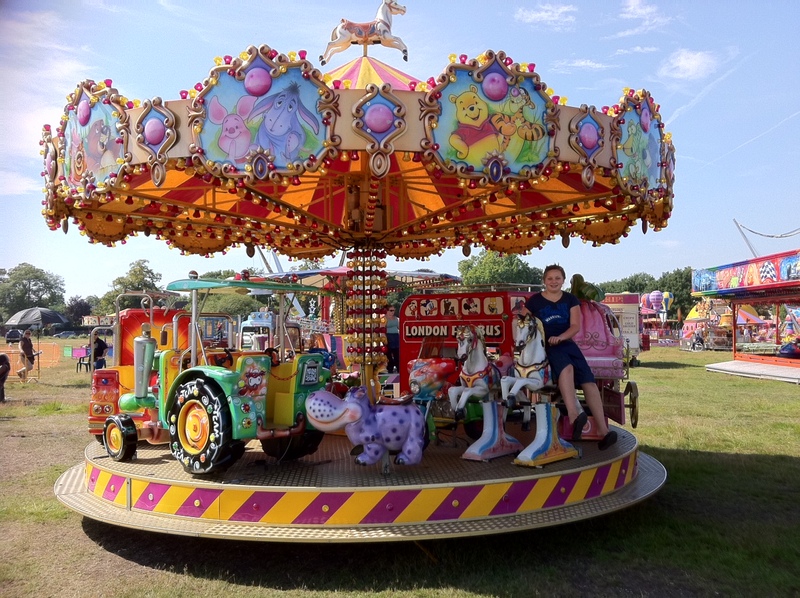 And finally John Parnham funfairs is coming to Fulham from the 14th February to the 22nd February. The perfect sunday afternoon where kids are entertained with candy floss and rides. What child doesn’t enjoy a carousel?